And so it would seem to remain: in a world where writing and speech are used primarily as means of exchange — and “for private purposes,” as Don Byrd notes, “to say what this or that person thinks or feels, to give orders, to make contracts between private parties, to objectify the anguish of our isolation” (57) — words do behave like phantoms of some counterfeit social currency, dwelling amidst a populace that is likewise so abstract, “unable,” Oppen later writes, “to begin at the beginning” (NCP 114; NCP 170; SP 49; SP 91). At first glance, Oppen’s corrective to this condition would seem to partake of a quintessentially Modernist form of empiricism — a conflation of “meaning” and “sense” allegedly capable of healing language’s hemorrhaging semiotic wounds. Rudimentary Imagist edicts, for example, certainly subsist in the poem’s concluding appeal to a poetics of precision, while Ezra Pound’s valorization of the expediency for poetry of ideogrammic script is only the most exemplary of High Modernist bids for just the sort of “restoration” of words to “meaning” and “sense” that Oppen hopes for here. At the very least, Oppen’s critique of the insubstantiality of commonplace speech — much less his implicit indictment of institutionalized abstractions and the languages of commerce — tacitly avail themselves of High Modernist anxieties regarding the contagion of mass culture’s predominantly mercantile interests. Yet the corrective also takes the form of a conditional hypothesis, introducing a measure of doubt that is among the more salient markers of Oppen’s divergence from the confident attitudes of High Modernism. Indeed, the poet’s — and the poem’s — inability in themselves to achieve their ostensible epistemological goal is a principal quandary with which Oppen grapples. And to “begin at the beginning” — again, whether epistemologically, with the empirical world of “sense,” or existentially, in the search for a primary “meaning” — proved increasingly vexing for Oppen. The very fact of numerousness, that with which Oppen’s major poem is first and foremost concerned, mitigates against it: multiple perceptions and competing value systems emerge, everywhere precluding against a singular, foundational vision. How, then, to proceed? How to “restore” to words what Oppen was fond of calling “clarity” — a “limited, limiting clarity,” as he puts it in “Route,” (NCP 193), but also one likened elsewhere to “silence” (NCP 175; SP 96)? How to establish a language, as he puts it in “A Narrative,” of “clarity, and of respect” (NCP 156; SP 78)? How to “begin at the beginning” or, for that matter, how to begin at all? As “relevant thought begins with the distrust of language,” so Oppen’s thought begins in a kind of reversed Cartesian skepticism through which all but the most basic assumptions — about the material world, however, and not some ideal cogito — are called insistently into question. It is a skepticism that would seem to frustrate the rhetoric of conviction with which his work is replete were it not for the curiously deferred assurances to which his hypothetical “ifs” testify — assurances that Oppen casts in provisional language precisely in order to emphasize their conditional nature. Indeed, for Oppen, the world is commonly regarded only “as if” it is there: “if it is matter,” he writes in an oft quoted passage, it “is impenetrable” (NCP 164; SP 84); Henry James’s Maude Blessingbourne approaches the window in the poem that opens his oeuvre only “as if to see what was really going on” (NCP 5; SP 3, emphasis added); words will be restored only “if” one proceeds with care. In an almost retrospective tone, he registers his own abilities as a poet in “Route” with a similar conditionality: “I might,” he writes, “at the top of my ability/ stand at a window/ and say, look out: out there is the world” (NCP 193 — 194). I might, he writes, and not I have or I do, as for Oppen the world is never simply or passively “there,” yielding itself easily to comprehension, not so much an object as an objective that verse, almost against the language of which it is composed, struggles vigilantly to achieve. Given this conditional rhetoric (what Rob Halpern recently glossed as his “subjunctive mood of patiency” ) Oppen’s poetry’s relationship to an Objectivist poetics often characterized as one of certainty, conviction, and truth — of the poem, that is to say, as an objectively realized fact in its own right — needs to be rethought. Indeed, faith or belief might be better terms to apply to Oppen’s poetry, especially insofar as he extended his distrust of language to include even his own use of words. That Oppen excised the section of “A Language of New York” quoted above when writing “Of Being Numerous” is but one indication that he did; at the very least, it suggests that the restoration of language to “meaning” and “sense” that he calls for is one that he himself, at least in this poem, did not achieve. Startle, and stare out. (NCP 99, SP 36). The poem operates by a kind of metaphorical osmosis whereby the space of the poem, and “The small nouns/ Crying faith” in it, become analogous to the “small” space “of the forest” in which “the wild deer bedding down” occasion the poem’s exclamatory revelation: “That they are there!” Of course, the poem is also enabled (if not beleaguered) by the deictic equivocality of the phrase that Oppen chose for the title of the volume. “In this in which,” that is to say, begs the question of in which this the startled deer — and, by extension the astonished poet — stare out. Thus, “truth” does not really “follow from the existence of something,” as Oppen translated the phrase of Aquinas’s that he used as the poem’s epigraph (veritas sequitor esse rerum, a refrain of sorts in Oppen’s Daybooks). Rather, truth behaves as if it follows from existence, and requires the gesture of faith that is finally epistemologically unstable. As Oppen puts it later on in the Dembo interview: the faith is “that the nouns refer to something: that it’s there, that it’s true, the whole implication of these nouns; that appearances represent reality, whether or not they misrepresent it” (“Interview” 163, italics added). Upon what “faith” or “belief,” then, could Oppen base a politics? How are the terms of his own unique epistemophelia integral to his engagement with political questions? If not so much the literal engagement that spurred his decision to stop writing in the forties and fifties, of which little is reliably known, then his literary engagement, for this is one that is more ambivalent than it is often made out to be. Neither in papers nor letters nor poems does he offer any methodical, philosophico-political schema, nor does his work advocate — Marxist, and at times Stalinist, predilections notwithstanding — a systematic political philosophy. “I am not ... ^displaying^ a dialectic,” he writes in Daybook II, “I am talking of a vision” (Daybooks, 125). And elsewhere, on the perils of logical thinking: one “encounters in himself the passion of logic which, like the young man’s desire to sleep with Debbie Reynolds, is unlikely to be satisfied, but can lead to crimes of violence” (Daybooks, 143). This disconcerting humor is quintessential Oppen, as is the qualification that follows: “Tho I am not altogether opposed to crimes of violence...since I am not altogether pleased by the idea of standing still” (Daybooks, 143). Oppen may very well be thinking here of history, and of violence as history’s motor, in somewhat basic (if crass) Marxist terms. Equally crucial, however, is Oppen’s apprehensive support of such “violence.” This intermingling of trepidation and espousal is a recurring feature of Oppen’s thinking in the Daybooks, especially when that thinking gravitates towards political issues. At times, it is an equivocation that comes to a head in a kind of critical and perhaps even insurmountable impasse, as if the representation of politics — and of his own political experience — was doomed from the outset to be a misrepresentation. Think also of children. The guards laughing. Yes, we deceive ourselves Better, we say, to aim a rifle at an unknown man and pull the trigger. Carefully, if we can Or release bombs from the air. He, like us (he, the target) has ‘his own’ army, the children will display the medals We deceive ourselves with these things, but the other? We cannot do it The children cannot die alone. There must have been a father, a mother, there must have been friends, there must have been someone (Daybooks, 46). The impasse here is as significant as Oppen’s anaphoric “ifs”: against the unspeakable conclusion of fascist political action is posed an inescapable but necessary guilt whose only justification is (at worst) deceit or (at best) a “must have been” that is, again, far from certain. For a poet who, as few of Oppen’s readers or commentators have failed to note, perhaps more than any other held himself and his verse accountable to stringent ethical — above and beyond literary and/or aesthetic — demands, it is crucial to understand both how and why such commitments are borne out in a kind of culpability that refuses absolutes and even positivity itself as viable resting places. Indeed, a kind of “negative culpability” underwrites much of Oppen’s thinking about politics, as well as his aesthetic and poetic concerns — a culpability in which he holds himself accountable both to and for what his writing is unable to achieve in positive terms. Here, for instance, Oppen’s “belief” appears to be primarily a belief in guilt; his conviction as much a self-imposed verdict as a self-possessed moral integrity. Chapter IV is perhaps the most startling, because we do have a literary precedent for it: it is Bloomsday. It follows with startling closeness, which is a tribute to Joyce, but this is far beyond anything in Ulysses. Like Bloom, Ruby mixes into a thousand affairs he doesn’t quite know anything about, and yet manages to know something about -he ‘sets up’ several interviews, he speculates inconclusively about the billboard in the exact equivalent of Bloom in the museum; perhaps it’s the shabbiness of his business and his relation to his ‘dancers’ — not that he has a relationship, but the character of that relationship — which serves as the equivalent of the bar of soap in Bloom’s pocket all that day in which he is trying to be one of The Boys. And Ruby shocked, weeping every now and then, wandering about the city and phoning distant friends almost in a daze, terribly moved, frightened, also hands out cards everywhere he goes for his striptease show, as Bloom all that day is actually selling advertising space. And his mind, like Bloom’s turning over slightly inconclusive, slightly inadequate ideas and schemes; quick-minded and somehow inadequate (SL 106). Oswald seems simpler, more familiar, even tragically familiar. Stephen Daedalus had a great difference; Stephen was actually great. Whereas Oswald needed to be great, absolutely needed to be great, and had no possibility at any time of being so (SL 106). “It is... not possible to understand politically,” Oppen goes on, “how Oswald could have wanted to shoot Kennedy. That he wanted to perform an historic act is clear, of course. But he wanted to perform an act which would identify him as a theoretician, a man of principle and of understanding, and a man who had served ‘his side’ — This is what the Europeans know, as they would know. But I think one must accept that it did happen. Perhaps he was altogether desperate...” (SL, 106 — 107). And, finally, Oswald “has no possibility at all of being great: And that is the story’s terribly tragic ending. It matters very little what precisely he did. Maybe he just pulled down the sky on himself” (SL 107 — 108). ‘and it is so stupid.. The dilemma, to be sure, is as much Oppen’s as it is Deadalus’ or Joyce’s. Indeed, neither Bloom nor Ruby nor Oswald is ever truly great — at least not in Oppen’s eyes — and Oppen’s description of their being “locked/ in combat” in a frame that hearkens back to “Dover Beach” cannot help but suggest the third and absent term: that curiously passive witness who stands at the window of history — or at least of the century — “as if to see,” as Oppen put it via Maude Blessingbourne in his first published poem, “what is really going on.” This witness finds no longer merely the weatherswept world, but the text of history itself — the nightmare from which Daedalus, and certainly the speaker in Arnold’s poem, sought to wake — as a text into which a hole has been blown by Oswald’s desperately Icarian act. The mode is subjunctive, that is, it expresses contingency, expectation, desire. ‘As if’ creates a distance, an affective space of expectancy within the act of desiring to know. One can only reach toward what one wishes to know by assuming a place, a position implicated or made vulnerable by the reach itself. That position is not sturdy; it is unstable, uncertain, an edge or cusp... Here...Maude is provisionally occupied by Oppen so that he might know boredom and ‘see what was really going on’; so that he might encounter the world and write this knowledge, this vision, this experience. ‘As if’ one could (Halpern 83). As if, indeed: no event in recent American history has sparked so much debate about what really went on than the assassination of Kennedy, and no document more than the Warren Report has with such astonishing salience illustrated the political implications of what is principally an epistemological dilemma: how to know, and on what evidence to base one’s knowledge of the “truth” of such events, how to ever approach the window and simply “see” what is going on? From what position, that is to ask, does Oppen proclaim the truth of the events as told by the Warren Report? That of the Warren Commission? That of James Joyce? That of the Arnoldian poet, or of the George Oppen for whom, as he concludes the letter to his daughter and her husband, “Ulysses is so deep in our lives. It was the first modern literature we read, it was our education. And it was the beginning of our lives together...” (SL 108)? The question is essential in considering the work of a poet for whom the politics of literature (and here, the literature of politics) could not have been more pronounced and it is especially so given that Oppen’s reading is one where precisely the document’s literary qualification (distinct, it needs to be noted, from any potential classification of it as such), above and beyond its actual political plausibility, guarantees for him its truth. It is as if the question of what really went on is resolved — or not so much resolved as altogether dismissed — on grounds that are finally purely literary (and Aristotelian at that). Oppen notes the parallel — “more than a literary curiosity for us” — and the question of what actually happened is no longer as important as the question of what actually happens, or, better, what might happen: the Warren Report is true because Ulysses is, neither necessarily reporting “on what has actually occurred,” as Aristotle is reported to have said of poetry in general, but rather “[stating] the kinds of things which might... occur [and] that are possible by virtue of their probability or necessity” (Aristotle 10). Or that behave “as if” they were possible? The claim is not as far-fetched as it may at first appear: “it is possible,” Oppen writes of a nuclear apocalypse, in one of the scarce moments wherein his historical sensibility is betrayed, “therefore it will happen.” It is important to remember also that Oppen’s secrecy about being a writer while he was involved with CPUSA resulted from an ethical decision to prevent his poetic vocation from being used for the purposes of either propaganda or mere reportage — to distinguish it, that is, from any overtly political agenda. Given Oppen’s ethical investments, this raises the question of what an ethics of a writing — and not an ethics of not-writing — might conceivably be, as well as it raises the question of that writing’s relationship to historical and/or political concerns and/or events as such. those who have not been granted ^achieved^ a role defined as meaningful by this culture, and who lead, therefore, lives without meaning and without drama and without honor. What they want, what they so violently and dangerously want, is a revolution which will overthrow us who are pre-empting the meaningful roles in this society. And write out those twenty-five years Oppen would, as well as he would admit, if only to himself, his own complicity in “the way things (were).” A one-time political activist turned philosophical poet, this admission took the form of an ongoing meditation on — and an increasing understanding of — the profound difference between poetic and political pursuits. “It’s a narrow public for poetry,” Oppen admitted to Burton Hatlen and Tom Mandel in an interview, “It always will be. We didn’t dream of addressing the crowds with poetry. And we distinguished, as I said, between poetry and politics” (33). And, on his decision to continue writing: “Rome had recently burned, so there was no reason not to fiddle” (34). It is a curious statement coming from a “model of poetic integrity, in every sense of the term” (Finkelstein 4), but perhaps not as curious, given Oppen’s perpetual insistence on precisely this distinction, as his confusion of literary and political domains in his consideration of the Warren Report. And it is a telling confusion: for a poet who sought, above and beyond all else, to “see what was really going on,” it suggests that perhaps this view can only be gained through a properly literary — even if tragic — perspective. Oswald’s act amounts for Oppen to a caveat bearing on the hazards of confusing the literary with the literal, the poetic with the political, and of wanting to achieve historical greatness at a time, and from a place, when and where it is historically impossible to do so. And failure of course it is, although it is a mark of Oppen’s acumen as a political thinker, whatever “responsibility” he might accept — and whatever guilt might accompany his often stoic self-positionings — that he recognizes as well this failure as collective. To put it otherwise, the phantom meaning of being numerous is one that is often reflected, as if in relief, against the very real failure of singularity in its manifestations of either existential pathos (“death” indeed) or misplaced heroic aspiration (tragedy indeed) to escape the demands of a history from which, to paraphrase Joyce’s Daedalus again, no-one can ever truly awaken. art and political action are in precise opposition in this regard: that it can always be quite easily shown that political action is going to be valuable; it is difficult to ever prove that it has been in the past ^that political action has been valuable^. Whereas art is precisely the opposite case: it seems always impossible to prove that it is going to be valuable, and yet it is always quite clear that in the past it has been. the art of the past has been of value to humanity. I offer it only as a suggestion that art lacks in political action, not action (Daybooks, 89). A hyperbolic statement, no doubt, especially given that it was written amidst such major social upheavals as the Civil Rights, Anti-War, and Women’s Movements, each of which, in fact, can still be “easily shown” to have had a valuable effect on human history. Nevertheless, as much as Oppen’s distinction between politics and art betrays his own insecurities about favoring art to political action in the sixties, equally importantly it signals an awareness on Oppen’s part of an historical span that exceeds both past and present to include that future towards which his work’s conditional rhetoric seems to point — precisely that future, in other words, which both makes and is made by the present’s real and figurative progeny. For Oppen, the work of art is not so much justified by its immediate or apparent efficacy as it is justified by the place it takes in and effect it has on history — both the “history of perception,” as he says of Rilke and Blake in “Daybook III”, but also cultural and/or human history writ large. Yet, because art is also inescapably determined by the terms and conditions of the present, it must remain incomplete, impassive, critically aware of both its own limitations and — faithfully — of the possibility for its realization that the future holds. In this sense, any labeling of Oppen as an “objectivist” poet is at least partly ironic, for more often than not in his writing Oppen regards the world less as an object than as an objective, something to be achieved through the practice of writing rather than merely represented thereby. Daybooks 181. I have reproduced this passage and all subsequent passages according to the editorial apparatus used for the volume as a whole, where italics represent text handwritten by Oppen, and standard font is used for typewritten text. Insertion arrows are used for text later inserted into a passage by Oppen. For full editorial apparatus, see Daybooks 19 — 20.The page upon which Oppen’s illegible comment is found appeared originally in an issue of Jubilat, mistakenly identified as a part of “Daybook II”. See: “George Oppen: From ‘Daybook Two’.” Ed. with notes by Stephen Cope. Jubilat, 4. (2002), 42. Daybooks 53. Oppen’s “Stapled Book” is “Daybook I.” Originally appeared as part of “‘Daybook One’, ‘Daybook Two’, ‘Daybook Three’, from George Oppen’s ‘Working Papers’.” The Germ, 4. (1999), 202. Conspicuously, this particular passage does not appear in “Of Being Numerous,” a fact I comment upon below. Pound’s celebratory dissemination of Ernest Fennolosa’s work on the Chinese ideogram is the most often cited — and most often anthologized and reprinted — instance. From a talk given at “George Oppen: A Centenary Conversation.” University at Buffalo, April 24, 2008. The term “negative culpability” is my own — a variation on John Keats’s famous formulation, in an 1817 letter to his brothers George and Thomas, of “negative capability” as that which “went to form a man of achievement, especially in literature,” and which allowed for a state of “being in uncertainties, mysteries, doubts, without any irritable reaching after fact and reason.” (Keats, John. The Letters of John Keats: Volume I. Ed. Maurice Buxton Forman. London: Oxford University Press. 1931. 77.) See also my introduction in Daybooks, especially 6–13. A detective on the case remembered Ruby saying, "(it is] hard to realize that a complete nothing, a zero like that, could kill a man like President Kennedy..." (Warren, Chapter VI, unpaginated). See Taggart, John. "Walk Out: Rereading George Oppen" (Chicago Review, 44:2. (1998): 29 — 93). The publication of Taggart's essay occasioned both public and private controversy — much of which attended to his reading of Oppen's Jewish identity (or lack thereof) as ambiguous and unstable. An immense and in many respects brilliant essay, Taggart's reading is often marred by glaring inaccuracies, not the least of which is his assumption that Oppen identifies himself, and not Ruby, with Joyce's Bloom, an assumption the above cited letter clearly dismantles. In section 3 of "Power, The Enchanted World”: "Having found a logic// Which is control/ Of the world, 'we'/ And Russia// What does it mean to object/ Since it will happen?/ It is possible, therefore it will happen/ And the dead, this time, dead" (NCP 199, SP 115). In "Disasters:" "of wars o western/ wind and storm// of politics I am sick with a poet's/ vanity legislators// of the unacknowledged// world..." Primitive, 11. Allen, Donald, ed. The New American Poetry. New York: Grove Press. 1960. Letters in the Donald Allen Papers (housed at the Archive for New Poetry, Mandeville Special Collections Library, University of California, San Diego) testify that Allen — as well as many others — viewed the Objectivists as practitioners of Modernism, and thus as not "new" in the sense that Allen conceived the term. Among others, Stephen Fredman has questioned the assumptions behind Allen's attribution (although without direct reference to Allen or his archive) in "'And All Now Is War:' George Oppen, Charles Olson, and the Problem of Literary Generations," a succinct but cogent critique of what he terms "the narrative succession that posits an Objectivist generation, launched in 1931, followed by a Projectivist one, launched in 1950" (Fredman, in DuPlessis and Quartermain, eds. The Objectivist Nexus: Essays in Cultural Poetics. Tuscaloosa: U. of Alabama Press. 1999, 287). See “Sara in Her Father’s Arms:” “There will be no other words in the world/ But those our children speak. What will she make of a world/ Do you suppose, Max, of which she is made.” (NCP 51). The future, then, again. “History of art: clearly Stevens interest could disappear. And Williams. I do not think Rilke or Blake could disappear. The statement is there, and cannot become hackneyed; it cannot be stated outside the poem. How much they may be 'liked' at a given moment — but they are part of the history of perception” (Daybooks, 158). Allen, Donald. The New American Poetry. New York: Grove Press, 1960. Arnold, Matthew. Poetical Works of Matthew Arnold. New York: Macmillan, 1896. Aristotle. Aristotle’s Poetics. Trans. Hippocrates G. Apostle et al. Grinnel, Iowa: The Peripatetic Press, 1990. Byrd, Don. The Great Dimestore Centennial. Barrytown, New York: Station Hill, 1986. Dembo, L. S. “Interview with George Oppen.” Contemporary Literature 10:2 (1969), 159 — 177. Finkelstein, Norman. “The Problem of the Self in Recent American Poetry.” Poetics Journal 9 (June 1991): 3 — 10. Poetics. Ed. Rachel Blau DuPlessis and Peter Quartermain. Tuscaloosa and London: U of Alabama P, 1999. 286–93. Keats, John. The Letters of John Keats: Volume I. Ed. Maurice Buxton Forman. London: Oxford UP, 1931. Halpern, Rob. “Of Truthful ‘I’ ‘s.” Tripwire: A Journal of Poetics 3 (Summer 1999): 75-90. Hatlen, Burton and Tom Mandel. 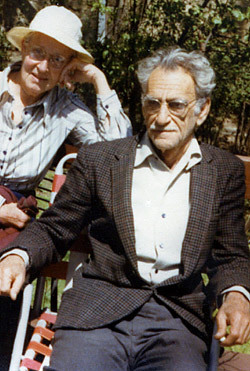 “Poetry and Politics: A Conversation with George and Mary Oppen.” George Oppen: Man and Poet. Ed. Burton Hatlen. Orono, ME: The National Poetry Foundation, 1981. 23–50. Oppen, George. Collected Poems. New York: New Directions, 1975. ——— New Collected Poems. Ed. Michael Davidson. New York: New Directions, 2002. ——— Primitive. Santa Barbara: Black Sparrow, 1978. ——— Selected Poems. Ed. Robert Creeley. New York: New Directions, 2003. Warren, Earl, et al. Report of the President’s Commission on the Assassination of President Kennedy. (www.archives.gov/research/jfk/warren-commission- report/index.html). 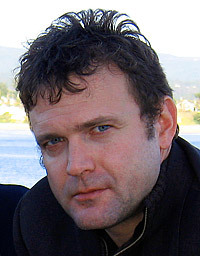 Stephen Cope is the editor of George Oppen: Selected Prose, Daybooks, and Papers (University of California Press, 2007), His poems, essays, and reviews have appeared or are forthcoming in Denver Quarterly, Jacket, Postmodern Culture, The Germ, Sagetrieb, Mirage: A Period(ical), XCP: Cross-Cultural Poetics, and elsewhere. He is currently completing a manuscript of poetry entitled “Bellerophonic Letters” and is at work on Negative Culpability, a critical book that addresses the ethics of ineffability in 20th century writing. He lives in Ithaca, New York, and teaches at Ithaca College, University at Buffalo, and Bard College.